With the recent break in winter weather and accompanying unseasonably warm temperatures, my wine palate is drifting—probably prematurely—toward spring and summer. While Argentina is justifiably renowned for its Malbec, the country produces another wine, this one white, that I like as much if not more than Malbec. It’s called Torrontes. And, while I enjoy drinking Torrontes all year round, it’s especially well-equipped for summer sipping. One of the lesser-known wine varietals, Torrontes is typically a good value. Soon, I suspect, it will be “discovered” and prices will rise. But for now, you can buy excellent iterations of Torrontes for well under $15. The Torrontes grape grows like a weed throughout Argentina, and there are three different varieties: Sanjuanino, Mendocino and Riojano. Since most of the Torrontes sold here is made from the Riojano variety, we’ll focus on that. It’s a grape that produces very aromatic wines—quite floral, with GewÃ¼rztraminer and Muscat-like aromas. If you like the floral qualities of Viognier, you’ll probably also enjoy Torrontes. Torrontes wines are capable of being bone-dry, but many I’ve tasted are off-dry, even slightly sweet, which make them a good choice for an aperitif, or for sipping in a hammock. So, Torrontes can range from light and crisp, like Pinot Grigio, to rich and rounded, like big California Chards. In finding versions of Torrontes that are keepers, the main thing I look for—regardless of the wine style—is acidity. This is what ties the best Torrontes together, whether they’re light and crisp, or big and bold. And while most Torrontes producers age their wine in steel tanks, others are experimenting with oak barrels, the latter giving the wines more of a Chardonnay-like body and roundness. I suggest lining up an assortment of different Torrontes from various wineries and discovering which you like the best. Here are a few of my current favorites. 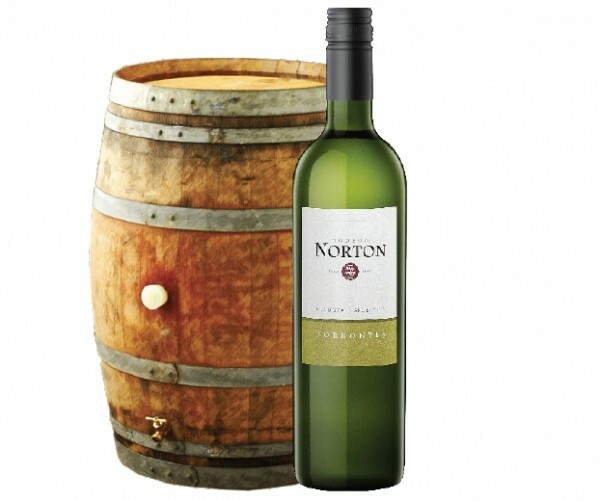 Bodega Norton Torrontes ($10.99) This is a well-balanced wine from one of Argentina’s biggest and oldest producers, founded in 1895. It has pretty peach aromas, but is drier, with crisp acidity, than you might expect from its sweet-smelling nose. I like this particular wine paired with linguine and white clam sauce. Alamos Catena Torrontes ($9.99) Warm days and cool nights characterize the high elevation of the Salta winegrowing region of Argentina, where grapes have the chance to slowly reach maximum ripeness. The result is a wine that’s a fruit salad on the tongue: peach and tangerine flavors to accompany orange-blossom and jasmine aromas. Lest you think that sounds like a cloying, sweet wine, rest assured that it’s actually quite crisp and acidic, aged in steel and racked off of heavy fermentation lees prior to bottling. Although Alamos Catena Torrontes is one of the cheapest around, it’s also one of my favorites—an exceptional value. It might sound like an odd pairing, but for a kick, you should try this Torrontes with a terrine of foie gras de canard. The crisp acidity and floral flavors and aromas help balance the richness and fattiness of foie gras. Crios de Susana Balbo Torrontes ($14.99) Like the aforementioned Alamos Catena, this Torrontes is surprisingly dry given its Viognier-like floral notes of pears and peaches. It’s a crisp, delicate wine that pairs well with smoked salmon or even smoked meats. Torrontes with barbecue? Why not? New Age ($9.99) This one’s different. It’s 90 percent Torrontes and 10 percent Sauvignon Blanc, plus it is frizzante—slightly fizzy, a wine you can pour over ice. Fun stuff.